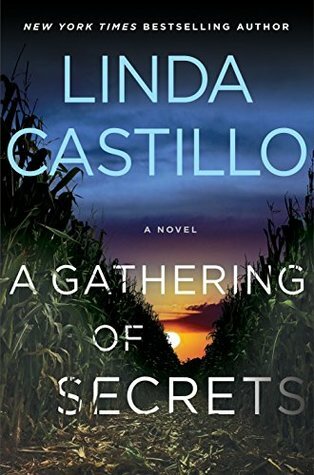 A Gathering of Secrets will be available July 10, 2018. Sometimes when a series has been around for awhile, the characters and the stories seem to get a little stale. That is not the case with the Kate Burkholder series. We are ten books in and I still enjoy it just as much as I did the beginning of the series. I thought A Gathering of Secrets was a very well done procedural. As with most cases, there is a lot more going on than first suspected and the case becomes really personal for Kate, reminding her of things from her past she thought she moved on from. I also thought these elements were pretty timely to what’s going on in the world today. The pace was really steady with new clues revealed in every chapter. There were a few red herrings here and there, but everything about the resolution of the mystery made sense. I suspected so many characters and it took me about as long as it did Kate to figure things out. There are a couple of big character developments in this book. One with a beloved side character and one with Kate and Tomasetti. One of the only things I haven’t liked about the last few books in this series is that there isn’t as much Tomasetti as in the beginning. Now that he and Kate are involved, it makes working cases together a little trickier and since the romance is not front and center his role has been reduced. While I do wish we would’ve gotten a little more of him in this installment (I will never stop wanting more Tomasetti), it made me appreciate what we did get even more. He is such a great partner for Kate and I’m looking forward to watching their relationship develop even more in future books. Overall, I really enjoyed A Gathering of Secrets. I thought the mystery was so well done and I found the book hard to put down. The story takes place in a fictional town in a real county that’s close to where I grew up and it’s always fun to recognize the locations mentioned (this one included the venue I had my junior prom at!). I definitely recommend this series to Mystery fans. That’s awesome you’re still enjoying this series after so many books. I usually flake out on a series around then. 😉 This one does sound good, though! It is definitely a good series! I hope there are 10 more. Because I live in such a small city in the UK, I always get a little excited when I see it mentioned somewhere. 🙂 I can’t even imagine reading about it in a book. It’s so cool, isn’t it! I love being able to really visualize the places that are mentioned. Yay! I’m glad to find a fellow Kate Burkholder fan 😉 because if her I want to visit Pennsylvania. Lol. You should visit Holmes county in Ohio instead haha. Thank you! It’s a great series! This is on my tbr! Nice review!